Top Mark Solutions grounds maintenance services give you a one-stop way to spruce up your premises from rooftop to ground level, while only having to deal with a single reliable and well equipped contractor. 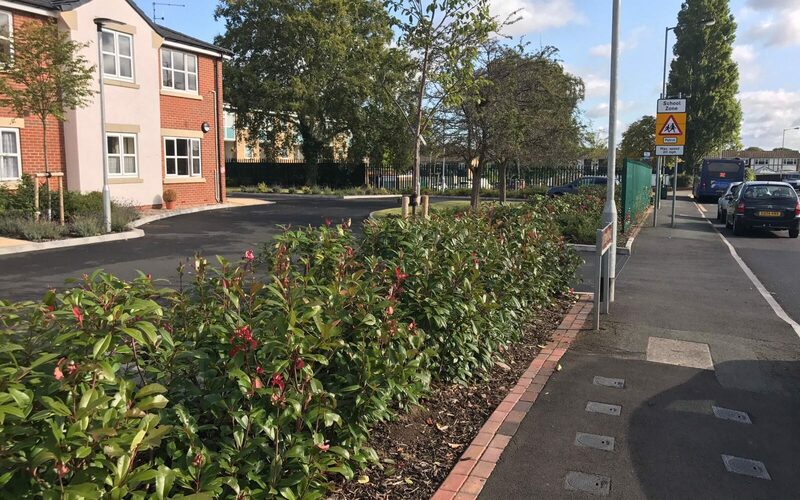 We can combine multiple services into a single premises maintenance package that covers everything you need – whether that’s your buildings, car parks, pavements and other hard standings, or landscaping like hedges and shrubberies. Each of our individual premises maintenance services is carried out to the highest of standards, using some of the latest modern technology designed specifically for the job. From our high-reach roof and gutter cleaning equipment, to our high-pressure hot-water Whirlaway jet washers, we have the gadgetry needed to get the job done quickly, safely and to the very best of standards. Disabled, parent-only and electric vehicle bay marking. This is not an exhaustive list – we can offer similar and related services in all of the above areas, so if you have a particular need that is not mentioned here, check our website or give us a call to find out if it’s something we provide. If you need a particular package of premises maintenance, please don’t hesitate to get in touch and we can put together a bespoke quote so that you are only expected to pay for the services you use. We appreciate that different sizes and types of businesses have different needs – for example, a school might need parking bay line markings, playground markings and sports field maintenance, whereas an office building might need only car park maintenance or might not have its own on-site parking at all. By offering a ‘pick n mix’ approach to our premises maintenance services, we work with you to create a package and delivery schedule that suits you, so that you benefit from our expertise while also getting the best possible value out of our one-stop grounds maintenance service. For more information or to discuss what you need from Top Mark Solutions, call us on 0161 976 2382 or email info@top-marksolutions.co.uk and a member of our team will be happy to help. Previous Previous post: We are internationally recognised for quality!